includes 60" hose and built in soap tray. Allows 2" of additional door opening width on most doors. An incredibly solid, expansion fit, floor to ceiling pole. Helpful for sitting and standing. Install into any room. Quick, Easy, Secure Installation, Versatile can be moved from room to room. White with gray rubber grip in center. Hinged or fixed models available. Wall or floor mount depending on installation requirements. DISCOUNTS APPLY IF MULTIPLE ITEMS ARE INSTALLED DURING SAME VISIT. and the proven benefits of a pivoting locking dual rail. 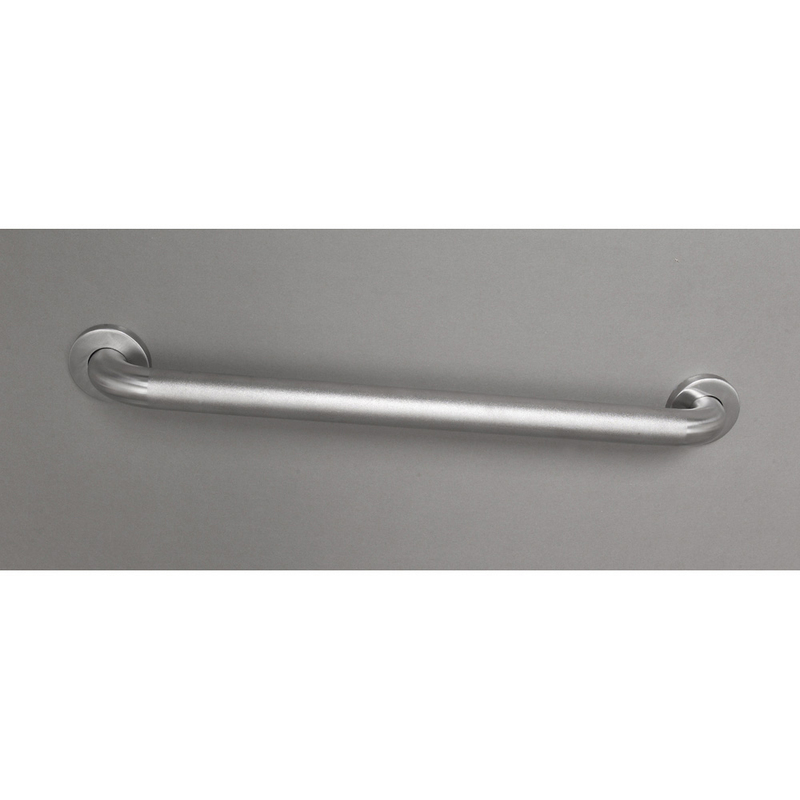 Designed for toileting and other environments where grab are commonly used.